The majority of the team are qualified to level 3 in childcare and all staff are vetted through the disclosure and barring service prior to commencing work with us. New staff are mentored by more experienced members of the team, all staff are trained internally on planning and observation and the EYFS curriculum so the learning delivered is of a cohesive standard.  Katy Dawson is the manager of Maple Lodge Nursery. Katy believes at Maple Lodge that we provide a safe and happy environment for your child to progress in their development and individual needs. Sarah Murray is Deputy Manager and has held the position since July 2017. She joined us with a wealth of managerial experience and is currently studying her PGC and Early Years Teaching qualification. Sarah is based within our pre school room, and has undertaken lots of professional development including safe guarding and is the settings SENCO. Sarah currently holds a degree in Early Childhood Studies. 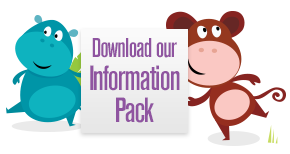 Friendly happy nursery which provides structured play to aid learning in the early years. Children all seem happy and well catered for. When we visited the nursery we particularly enjoyed watching the custard play.